MG is celebrating the new 61-plate by offering fixed price servicing on new MG6 GT and MG6 Magnette models bought during September. The generously equipped MG6 starts at £15,459 for the S model, while the larger Magnette models start from £15,995. 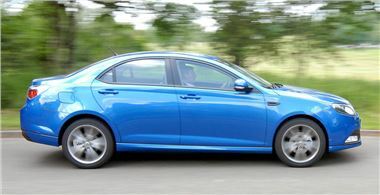 The top spec MG6 GT TSE costs £18,995 and comes with 18-inch alloy wheels, cruise control, tyre pressure monitor, leather sports seats, rear parking camera, front and rear parking sensors, electric heated front seats, automatic dual zone climate control, automatic wipers, Bluetooth, and sat nav will full European coverage.